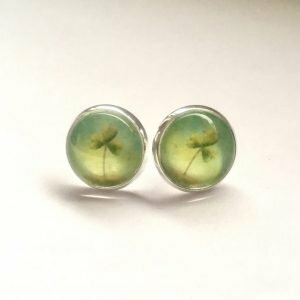 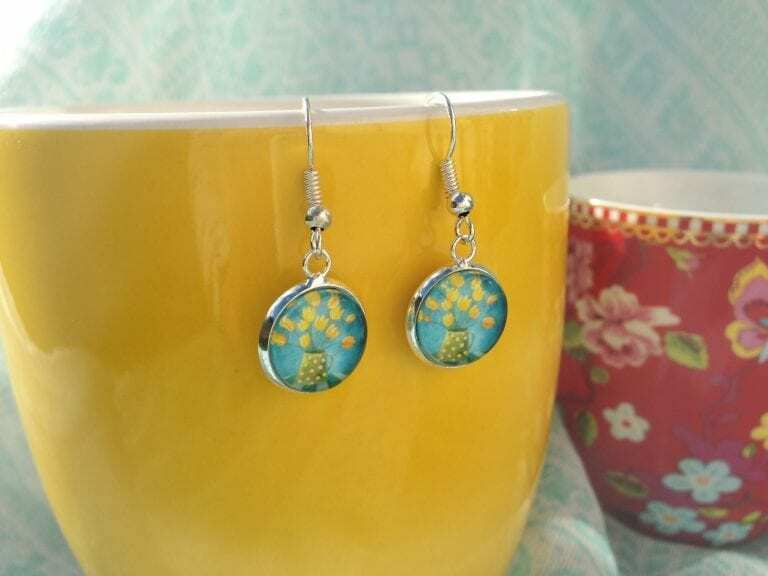 A cute pair of dangle earrings made of silver tone metal and a glass cabochon, featuring a lovely field of blooming flowers with lots of blues and pink. 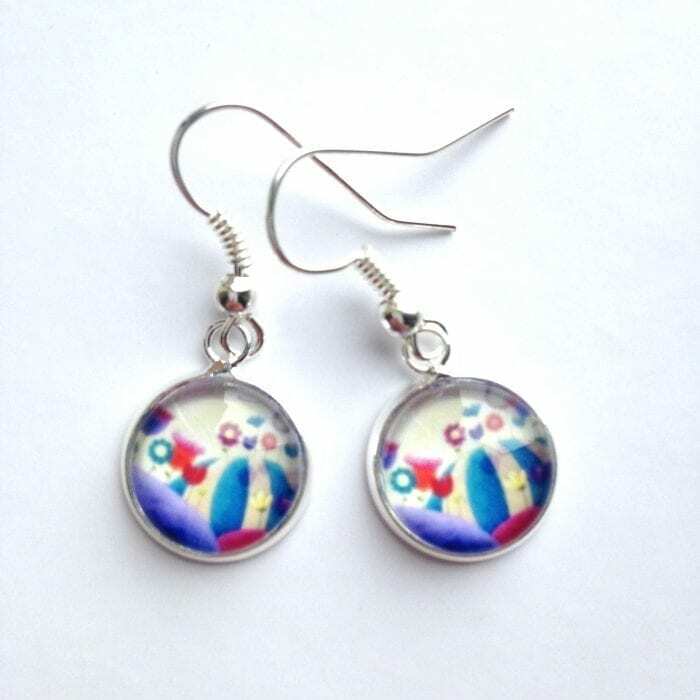 The cabochon measures 12mm and the metal is lead and nickel free. 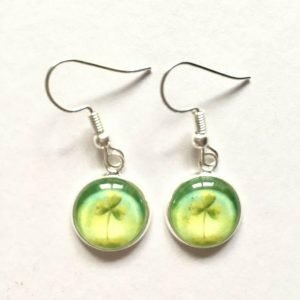 They look great to dress up a plain t-shirt or would look very pretty with a cute dress… They would also make an adorable little present!